In Kamakura, there is a very large Shinto shrine, Hachi-Mangu, where you can really engage with some very cool cultural activities. 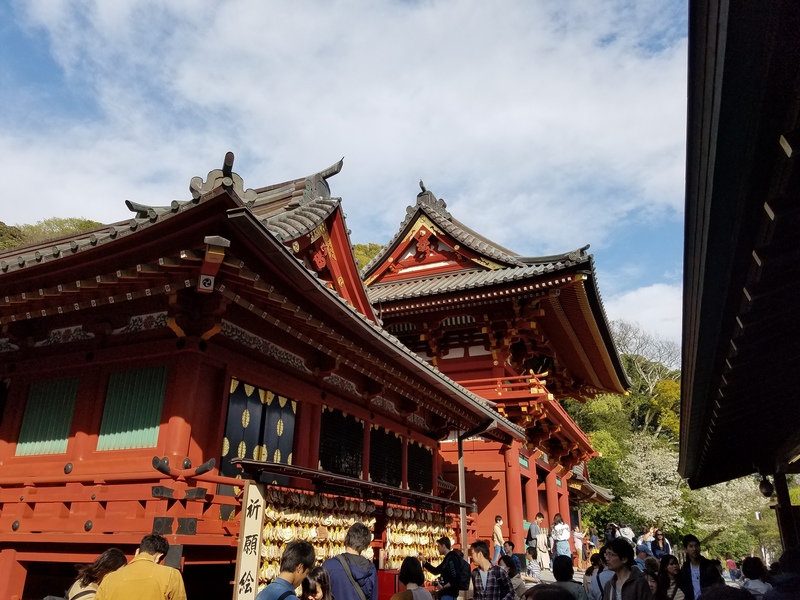 When I visited Kamakura with my colleague, we were able to visit the shrine and spend some time wandering its grounds. We walked down the main walkway towards the stairs leading to the main buildings, stopping at the vendors lining the streets. If such a large avenue exists, vendors will usually set up shop and offer you fruits, sweets, and a variety of savory favorites. We ended up trying a candy-coated grape, massive in size. The candy coating tasted too much like grape medicine but I found the concept intriguing. Once we walked up the stairs and through the gates, we came to where you pray. People will toss coins into an offering box and clap their hands twice before bowing and giving their prayer. Make sure you know if you’re in a Shinto shrine or a Buddhist temple; Buddhist temples don’t like it when you clap in their buildings! After we finished giving our offerings, we noticed a small crowd gathering around this gazebo in the plaza. There were priests, officials, and smartly dressed people sitting inside. 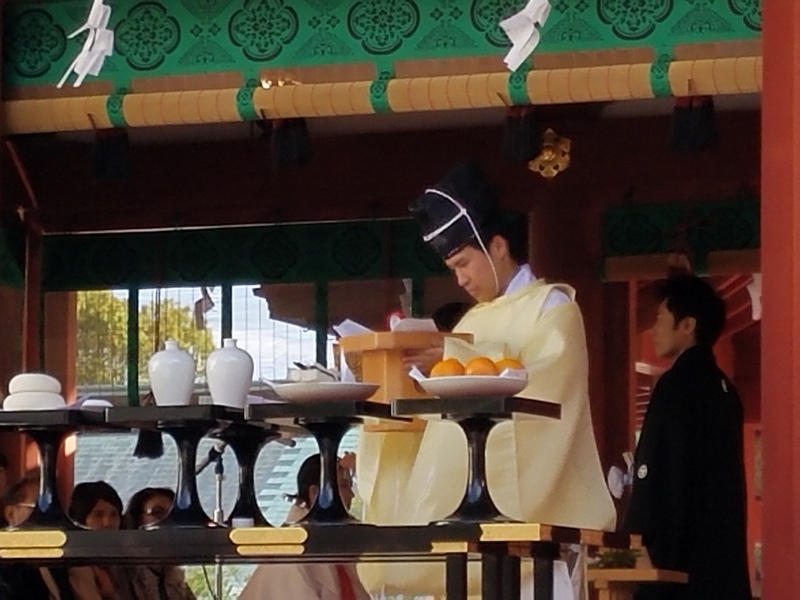 Sure enough, there was a traditional Shinto wedding taking place! People gathered around to watch the ceremony, which I knew nothing of. My colleague had been in a Shinto wedding before and noted that this part at the shrine was only one part of a day’s long process. Once finished, the bride and groom stepped out for some family pictures before marching off to their next activity. I was very lucky to see what I did at Hachi-Magu. I appreciate that the shrine doesn’t sit dormant and unused, but rather, it is alive with traditions even to this day. If you’re lucky enough to catch a wedding, all the better! Either way, it’s a nice free trip if you’re in Kamakura.